Supporting children in India ~ Children who were born in poor families in Bodhgaya, India, were able to get free education in Surya Bharti School for 10 years. Now, they have started to talk about their dreams and hopes with bright eyes. We Angel Aid supports the ex-students from Surya Bharti School to be able to got to college and university in order to overcome caste system, realize their dreams, and contribute the society. We are waiting you to join us "Project DREAM” to realize their dreams of future. We are seeking donation for urgent flood relief charity to Surya Bharti School in Bodhgaya. 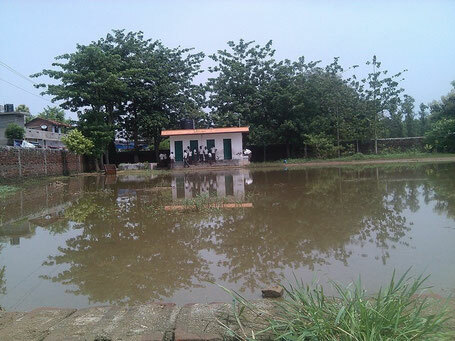 In August 2014, there was historical heavy rain in the state of Bihar, it caused serious damages as flood in huge area. Surya Bharti School had also been damaged by heavy rain and flood which kept the school building soaked in water over 18 days. The water flooded above more than 1 meter height, and computers and butteries became useless by the water. The lower parts of the bookshelves and lockers became rotten. We would like you to ask donation for the urgent flood relief. We are waiting for your co-operation. Angel Aid Association supports "Mothers & Infants Health Care Project"! "Mothers & Infants Health Care Project"! 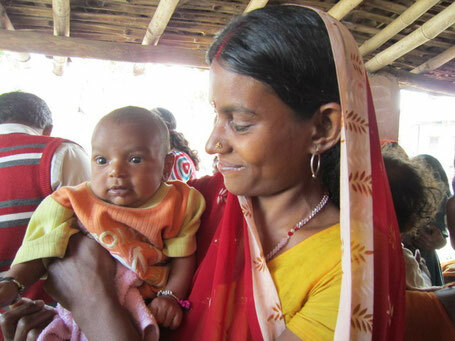 provides hygienic education, instruction of child growth, and Health education to mothers in villages under the guidance of a public health nurse, nurses, and doctors in Japan in order to improve nutrition and health condition of the infants in villages around Bodhgaya. Mothers' knowledge save lives of children. You can help the project to purchase the handicrafts made by women who trained in our job training project in the poor villages. You can help our activities by donation and you will get post cards made by children in Surya Bharti School!